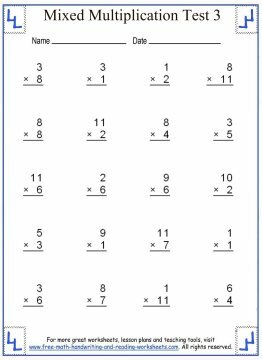 Use these free multiplication worksheets to test your child's knowledge of multiplication facts. 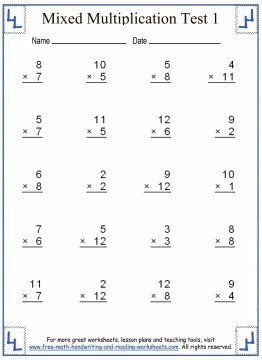 These are mixed factor tests that assume your child has mastered each factor from one to twelve. 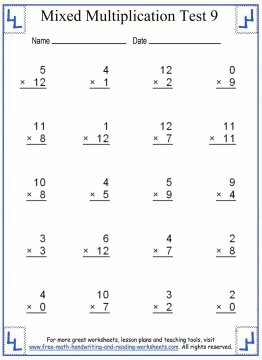 Before attempting these problems, make sure that your child has completed and fully understands the multiples of each digit up to twelve. 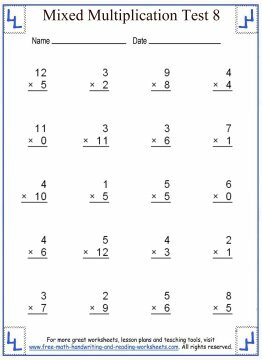 For help with this, see the Single Factor Multiplication Timed Tests at the bottom. 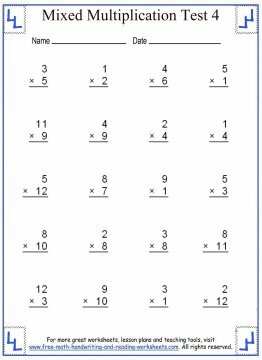 A timed test is useful for giving your child quick and repetitive practice with single-digit multiplication problems. 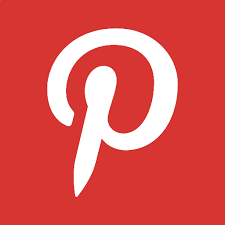 The tests below are designed to be short, one-minute tests. There are currently 9 different timed tests to choose from. 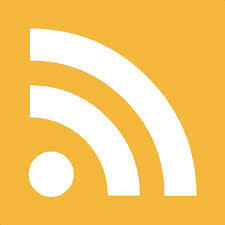 Clicking a thumbnail will open a downloadable PDF file in a new tab that you can print out. 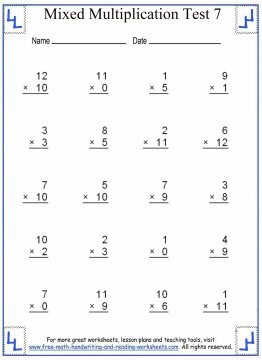 The worksheets above are ones that I created for our son when he first began learning how to multiply. As you and your child start learning the times tables, you may notice that he or she struggles with certain factors. For our son, the threes and fours were difficult. 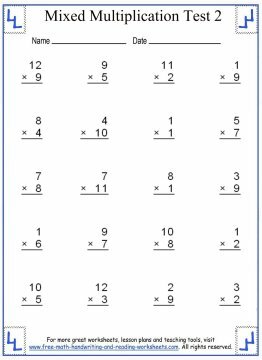 While the tests above are mixed, there are some great tools available to you online that let you customize multiplication worksheets. 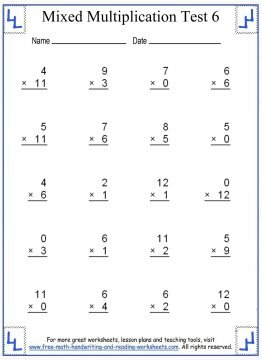 I prefer to use the Math Worksheet Site. 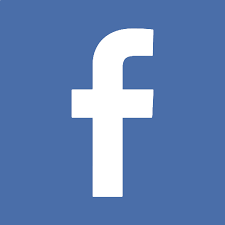 It lets you create single and multiple digit problems lined out vertically or horizontally. There are a bunch of ways to tailor worksheets to your child's needs. You can learn more by visiting themathworksheetsite.com. 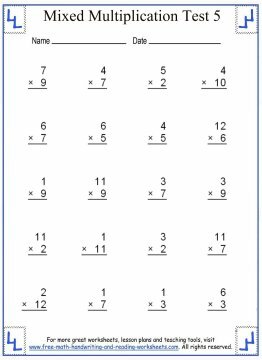 Don't forget to check out the related math lessons and pages below for more help with multiplication.